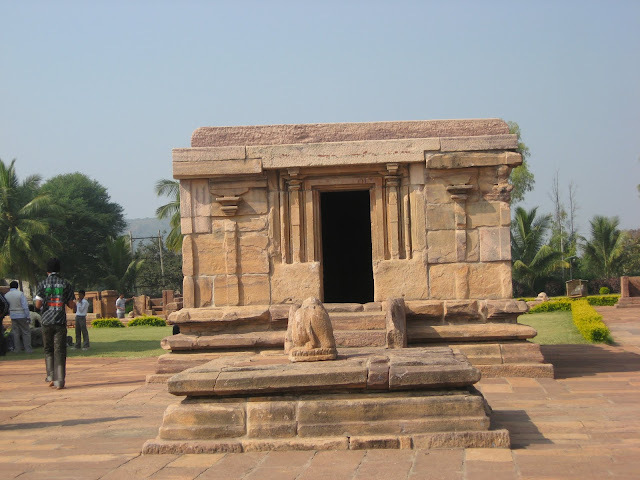 Continuing with our walk through the temple complex, we next arrived at the Chandrashekhara Temple. The plain and simple structure is the one which attracts least number of visitors, and consequently, is empty and easy to photograph! 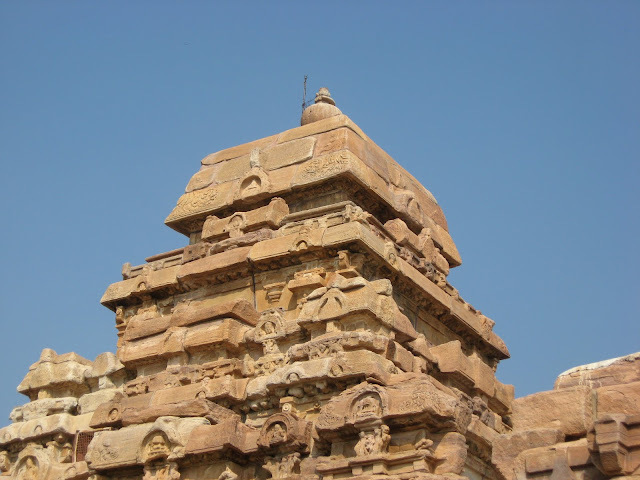 The next temple is a striking one, the first here with the dravida vimana, the southern type of temple spire. 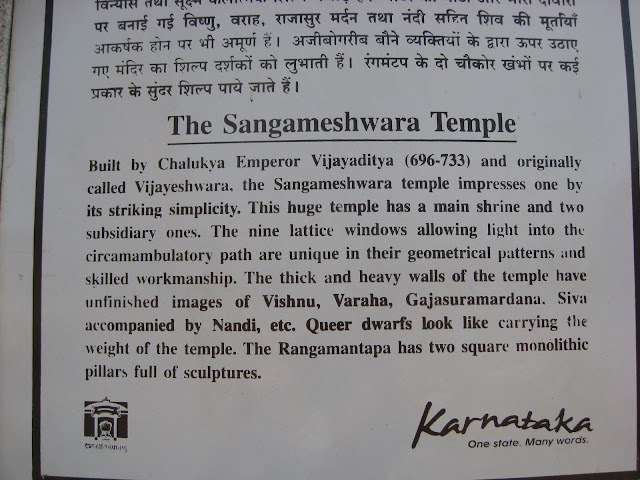 This is the Sangameshwara Temple, originally known as the Vijayeshwara temple, since it was built by the Chalukya king, Vijayaditya. Look at the intricate lattices on the walls! No pattern is repeated! 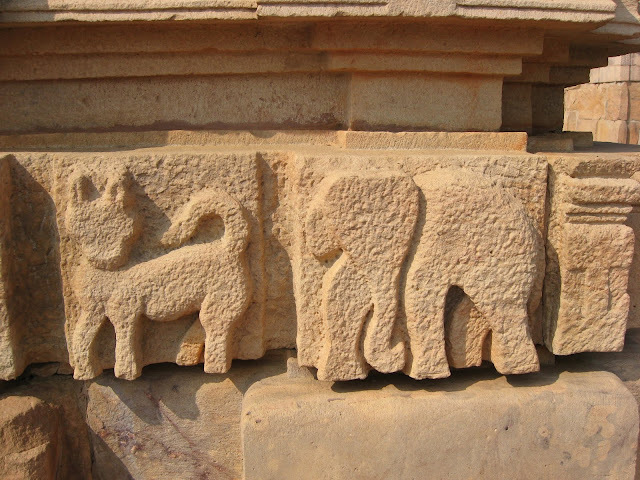 Some of the niches are empty, while some have figures of different forms of Shiva as well as Vishnu.Unfortunately, some of the niches are also empty, and some of the figures are incomplete. 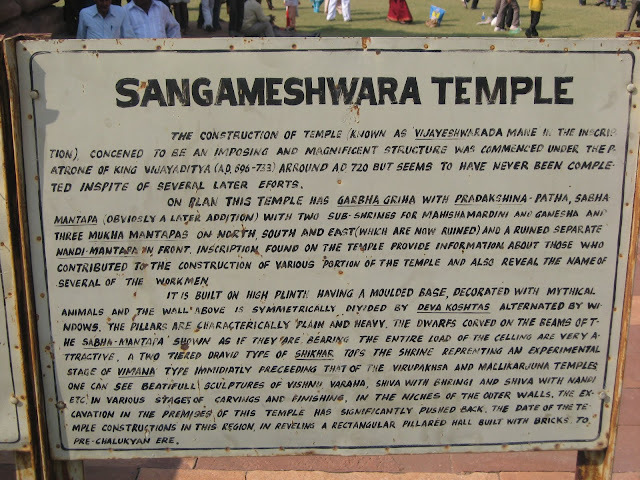 The saga of incomplete work is evident all over this temple. Such as these on the base platform. 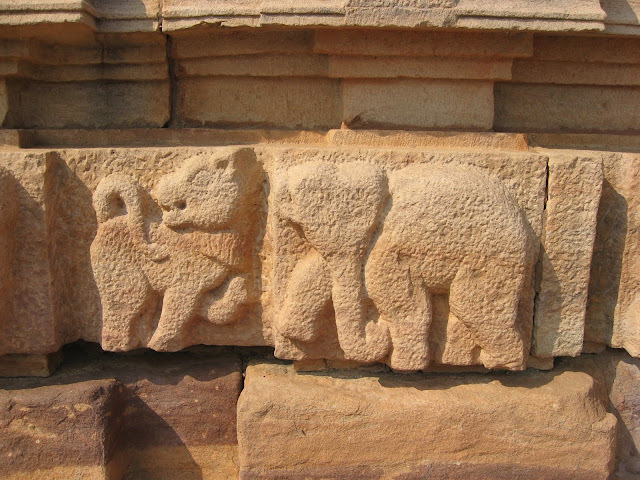 It shows us how the artisans would have begun their work, and also tells us that the work was abandoned due to some reason. 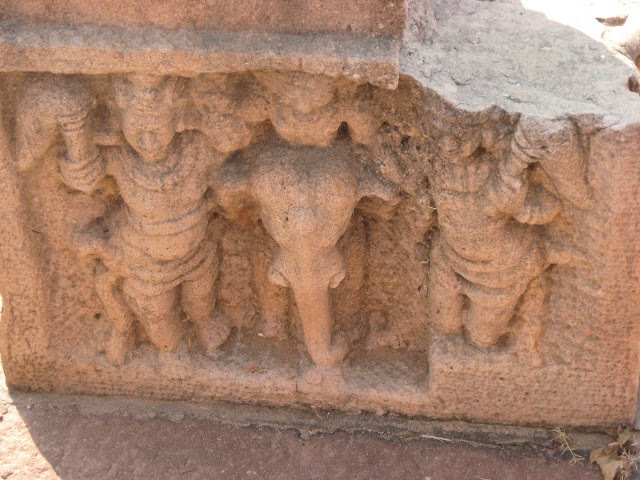 Outside this temple was a broken pillar, set at a lower level, in a depression. 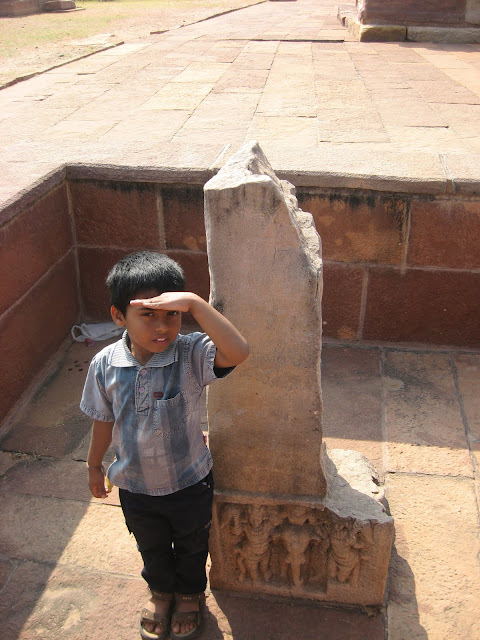 I wondered if it was a dhwajasthambam or temple pillar, but our guide wasn't able to shed much light on it. he is about 4 ft tall, so that depression is at least 3 ft in depth! Considering the rate at which I am going, I wonder when I am going to finish this series, but I can't help wanting to post almost every single photo I have taken! 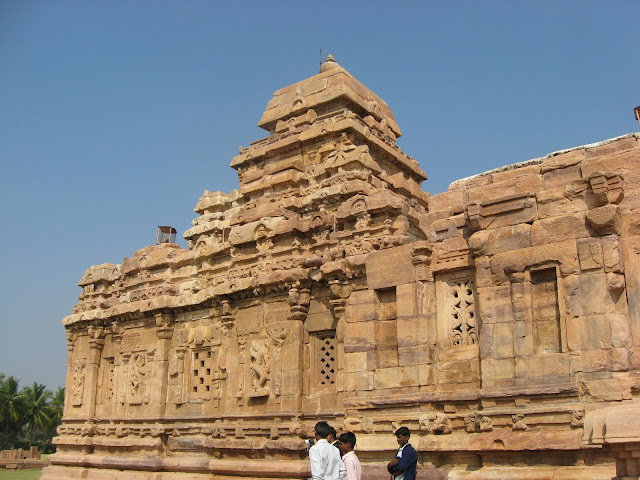 Coming up next: Some of the most beautiful temples at Pattadakal! Another lovely set of images Anu! Superb & informative post. Once again enjoyed the virtual photo tour. Nice photos...great blog! keep it up!